The Peacock Network must know we’re in need of more laughs. NBC has upped the episode order for the season nine revival of its Will & Grace TV show. While the original order was for 10 episodes, it has been upped to 12, Deadline reports. Will & Grace season nine reunites stars Eric McCormack, Debra Messing, Megan Mullally, and Sean Hayes. Creators Max Mutchnick and David Kohan are also on board as showrunners and executive producers, as is executive producer and director, James Burrows. 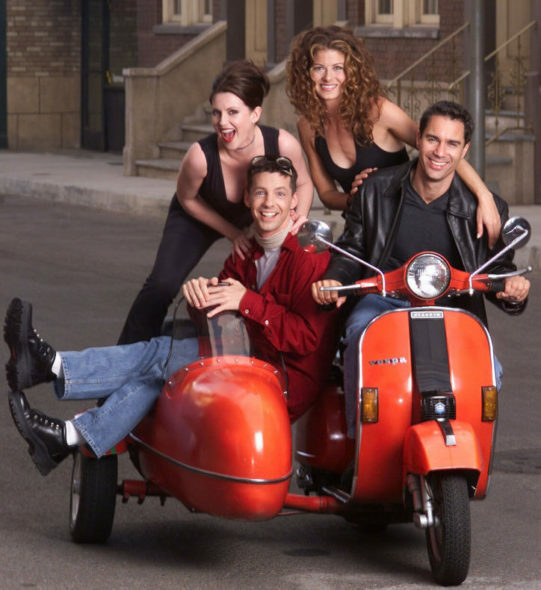 Will & Grace originally ran for eight seasons on NBC, between 1998 and 2006. Universal Television will produce and distribute the new episodes. What do you think? Are you excited about the Will & Grace TV series revival? Do you plan to watch the sitcom, when it returns to NBC? Can’t wait to the gang back together! I loved this show & cast. Their election episode was wonderful – biting & hysterical. Can’t wait for this next season. That’s great. I thought this was a miss print when i read it. I loved will & grace. When are the new episodes supposed to air? Apart from NBC saying it will debut in the 2017-18 television season, the Will & Grace season 9 premiere date has not yet been released. We’ll pass on the announcement, when we know.